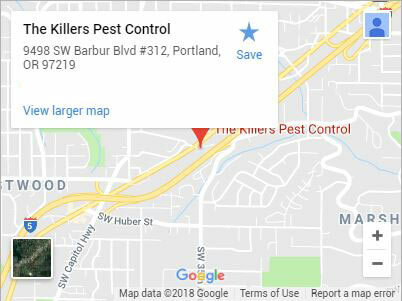 For a superior exterminator in Corvallis, you want The Killers. More than 30 years of industry experience has allowed us to form lasting relations with the residents of Corvallis. As trusted pest extermination experts, our exterminators are in the field every day keeping people safe from dangerous pests. This city is more than just where we work, it’s our community. That’s why we’re honored to provide Corvallis some of the best exterminators in the business. 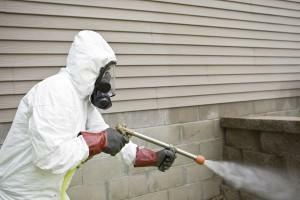 We go on every job with the same intention, to provide complete eradication of your pests. No matter how extensive your problem happens to be, a Killers exterminator is experienced performing residential and commercial pest exterminations. We’re equipped to handle the largest infestation and the smallest pest, so when you’re looking for an exterminator that excels at what they do, you’ve found the extermination company for you. We employ highly trained exterminators. This is because pests can present themselves in very similar ways. An untrained exterminator may have trouble spotting these differences, that can lead to a misdiagnosis of the problem and improper treatment methods. All of our exterminators have worked extensively in the Northwest. They are particularly skilled at pest identification, having an in-depth knowledge of habits, symptoms, and signs of any pest that can cause you a problem. We have robust scheduling options and will send an exterminator in Corvallis to inspect your property quickly. Inspections are thorough, as our exterminators determine the culprits and extent of your pest problem. Early detection can help prevent damage to your property and illness for loved ones. 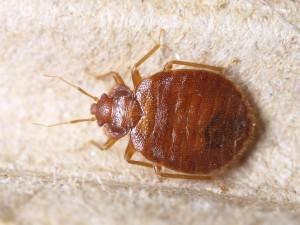 Many pests carry diseases, are poisonous, and can cause allergies. They will continue to leave droppings, urine, egg casings, and contaminate their surroundings until they are dealt with, so don’t wait. Our services are intended for complete extermination of pests. We take every factor into account when creating your unique pest elimination plan. Our exterminator will consider how large the infestation is, your property size, and whether or not pets or children will frequent the treated area among other things. Call (541) 758-7533 or contact us today for the exterminator Corvallis knows and trusts! Corvallis is a wonderful little city with much to do for the enterprising tourist. Highlights in Corvallis include the Benton County Historical Society & Museum. This local treasure is home to an astounding array of historical artifacts, art, and even functions as a research library. Current exhibits include an informative display of kimonos. They aren’t the only game in town, though. The Corvallis Museum is currently working to raise a million dollars for construction of a new museum. If they succeed in reaching their funding goal, Corvallis’s expansive dedication to arts as far reaching as theatre will grow even further. Albany, Beaverton, Canby, Clackamas, Gresham, Lake Oswego, Lincoln City, McMinnville, Milwaukie, Newberg, Newport, Oregon City, Portland, Salem, Sherwood, Tualatin, Vancouver WA, West Linn, Wilsonville, Woodburn and more!